One of my art pieces is now featured! Gallery Spotlight: Can you read Between the Lines? People like to say that opposites attract when referring to a relationship. She is a morning person, He is a night owl. She loves to go out and about the town. He prefers to stay home and watch TV. She loves the ballet. He loves Monday Night Football. Her favorite meal of the day is breakfast. He can’t put anything in his stomach earlier than noon. She likes soups and salads. He loves Junk Food. These two people for whatever reason couldn’t be more wrong for each other. It looks like a completely mismatched pair. For some the two will never see eye to eye on anything. Their union is a heartbreak just waiting to happen. And then there are some, after some pushing and pulling, they decide that the differences between them is what is special about them. Their common respect for the other allows the freedom for each of them to be who they truly are and the love grows from that. This painting is a reflection of that idea. At the top of the painting you can see the clash between the colors on each opposite side. The colors do not mesh, they do not come together in any way. There is a definite dividing line between them, but as your eyes travel down the middle of the painting you will see two hearts who truly want to become one. When two people come together and decide that the differences among them is okay, you can see underneath the two hearts, a blending of colors. What was once red, black, white and yellow clashing against each other now blend into a pinkish color meshed together to make a new color. Or you see a crossing over of colors that represents the compromise some couples will take to appreciate the differences between them and still keep their own individuality. When two worlds collide, sometimes it does not work out. This is a new watercolor art piece I painted recently. It is a compilation of a lot of lines that look like the letter L. It is also a symbol of righteousness. I created this painting with this in mind. In life there is always a choice or a path to follow. Depending on your views in life there is a right way and a wrong way for each of us. I believe myself to be a person of integrity. I follow a straight path and I do my best to do the right thing in all my affairs. Integrity and character are very important values to me and I prefer to live a life that reflects that. Sometimes you have to make a decision about something in your life and as difficult as that is, I choose to move toward the right. That is what this artwork means to me. What do you see when you look at this piece of art? Character – Who’s watching you? John Wooden has a quote that I have subscribed to for most of my life. Part of it goes like this. “Character is what you do when no one is looking.” John Wooden. I was thinking about this when I created this watercolor. However, I decided to go in the opposite direction of this concept. I would like to pose this question. What do you do or how do you act when everyone is watching you? Given the rise in social media and the influx of selfies all over the web. With surveillance cameras on so many street corners and all around it is something to think about. What do you show about your character when all eyes are on you? Do you reveal the person you truly are or a person you want others to believe you to be? We as human beings can sometimes get ourselves in a real pickle wouldn’t you agree? There are times in life when you think you are on the right path and you are looking straight ahead towards that goal or that endeavor. Whatever it is and all of a sudden something gets thrown at you and knocks you down. Your mind is spinning and you are a hot mess. I did this ink drawing during a somewhat stressful time in my life recently. It looks like what my brain felt like with swirls here and there and so many thoughts fighting to stay on the frontline of my attention span. But in drawing these shapes and lines over and over again in a somewhat robotic or trance-like state, it calmed me down. Have you ever had so many things going on in your head and you were frustrated, overwhelmed and felt chaotic inside but things seemed to calm as you wrote out your thoughts? Maybe all you needed was to vent to someone until all that stress just left your body like a hot air balloon deflating? That is what this drawing did for me and looking back on it makes me realize that things can be clear in your mind once you release what is stressing you out. But oh my what a web we weave inside our head. Do you have a time when you felt this way? What helped you release it or vent out what was bothering you? Corpus Christi, Downtown Artwalk is here again! Friday is Corpus Christi’s monthly Artwalk and I plan on setting up a table and sharing my art with you. It is just down the street from the main hub of the Artwalk at La Retama Park. If you stop by, I will have Black and White Photography prints, Color Photography Prints, Ink Drawings,Paintings, Pencil drawings, Watercolors, Jewelry and more. I may even have some very new work hanging up inside Supreme Lending. But we will see. I have spent the last few months, painting, organizing, packaging and preparing to show my work and share my love of art with others and all this hard work is finally showing me that this is what I was meant to do. Why? Because I love doing this and it makes me happy. I feel so fortunate that I have this opportunity to do something I really love to do and I know that regardless of what happens, I will always love creating art. So this Friday if you are looking for something fun and interesting to do, go to Downtown Corpus Christi and see some great artwork and come and say hi! It will be worth your while. It has a sample of some of my new art pieces. These will be available at the Artwalk on Friday so I hope to see you there! To know more about me and my original artwork, Art Commissions or to schedule a photo shoot you can go to my new website. Have you ever been so moved by the words of a song that you had to play it over again because it spoke to you? That is art. Have you ever read a poem that put into words all you wanted to ever say but did not know how? That is art. Have you ever looked at a painting or a photograph and could see a story or a message within that image? If someone came behind you and they saw a different story relating to their own life? That is art. Art to me comes from deep within. It’s highly personal and it is also very subjective. What it means to me may not mean the same to you but that is the beauty of art. I have had a lot going on in my life lately and most of it is great and then there were some bumps in the road but nonetheless, I have been creating art and that brings me much joy. I had two pieces hanging at the Art Center in June. I am preparing myself to enter a couple of other shows and that takes much planning. I am also hoping to be selling my artwork at this upcoming Artwalk so we will see. Oh and I just recently launched my very own website! This is a place to check out my original artwork available for sale and there are pages devoted to how you can commission me for a piece of art and also how to schedule a photo shoot for you or your loved ones. This piece will be hanging in the Member’s Gallery at the Art Center here in Corpus Christi, from now until early September. Stop by so you can check it out! I’ve been quite busy as of late. Busy creating, busy thinking and busy planning. I am working on several pieces right now to complete a series I’ve had in mind for some time now. All this is in preparation to submit these pieces somewhere. It is far too easy to get caught up on the internet with social media and all the other great things the internet has to offer. I have had to step back for a bit to clear my mind as I work towards finishing these works. This way, I know it is all mine. Abstract art is so much more than throwing some random paint colors onto a canvas and it has been challenging but rewarding at the same time. Pretty soon I will be ready to put these works online and start sending these out to see if they can be shown somewhere. 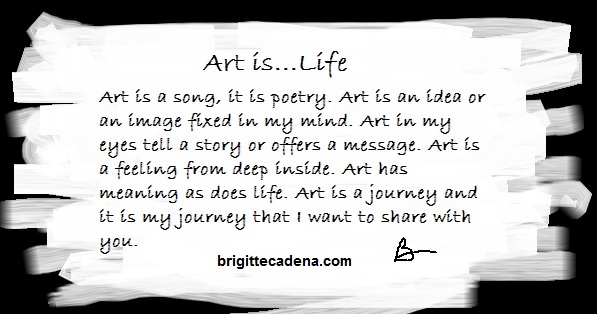 I hope you artists that read my blog have a day filled with creativity and imagination. I have been thinking and thinking about art and my part in it trying to figure out what is the best use of my time. What can I do to get my art seen by others and how best to promote my art. At the same time, I am working hard to keep my creative juices flowing as I delve into new projects and mediums. I have to tell you, it has been a challenge. I think many artists struggle with this at one time or another. I’m not well known as an artist at this point in time and I’m also still trying to work out my niche. The questions can be daunting at times. What does my art mean for me? What can it mean for others? Why would anyone want to buy this piece of art? What can I do to make my art unique and stand out? I think all artists have these questions nagging in the back of their minds at some point. Given the competition out there, these are questions every artist should ask, wouldn’t you agree? I have taken a few weeks to think about these issues and to reflect and as I am doing that I am working on several new pieces. I just wanted to touch base with those of you who read me now, to say I’m still here, just busy creating. Okay, now I know I am dating myself here but I want to talk about something special to me. When I was a young girl, I don’t even remember how old I was when I saw this short film. It was titled “The Red Balloon”. Have you seen it? If you have, you will remember the story vividly. If you have never seen it, you are still a young one and that’s okay, this is for you as well. 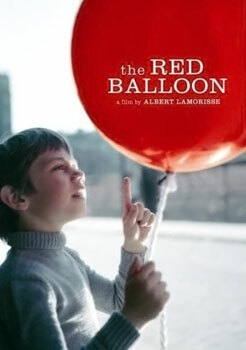 There was this little boy who came across this big, bright, beautiful red balloon. Everywhere he went, it followed him. He came to depend on it being outside of wherever he was at, waiting patiently for him until one day it wasn’t. He started to search for it and search all around town but could not find it. Sometimes he would spot it high in the sky (if I remember it correctly). He would try to reach out to it but to no avail, this beautiful, red balloon always seemed out of his reach. I think eventually the balloon burst and it was no more. The sad boy walked away, head down for he had lost this big, bouncy, red balloon. I happened to see this movie once again when I joined Netflix a few years back. It was then that I spent a lot of time drawing in charcoal. I was experimenting and I came up with this concept. I call it “First Heartbreak”. It’s a simple sketch, not a lot of detail but I loved how it came out and to my surprise many people have liked it. At one time I had it listed and it was the second most viewed image I had on a p.o.d. site. I could not understand why that was so. When I look at this piece, I see the innocence in the little girl’s eyes. When you are young and your heart is broken, it can be a shock to your system. You don’t know what hit you. You fall in love for the first time and like Sheryl Crow sings, “The first cut is the deepest”, It’s a pain that is indescribable. I think she is referring to that first heartbreak. You don’t have any experience of what it feels like but it feels like someone slashed through your heart and you feel, you really feel like the hurt is never going to stop. Looking back to my past, thinking back to that first time I thought I was in love. I remember what that first heartbreak felt like years ago. I can certainly relate to the expression of the little girl holding her torn red heart balloon, floating at half-mast. Tha represents that a part of you, that trusting and innocent part of you, that openness of your heart that died. You are no longer innocent in love. Looking back to that time and all the time in between, I realize that yes, that first heartbreak hurts the most. As you grow up and learn from your experiences, you become wiser, stronger and better prepared to handle all kinds of heartbreaks that may cross your path. No one wants to feel heartbreak, I know I don’t but life has those, along with all the other good stuff. And for me? It is the good stuff I choose to focus on. After many years of living and loving, I can look back on that first heart break and realize the hurt did not last forever and a day. Like the body recovering from a wound or a broken bone, it hurts so much when it happens. After some time and healing, the pain become less and less. You may have a little scar like the red balloon but the balloon is still floating. And it’s going to be okay. I’ve been featured in the Artpromotivate site! I have been ill last couple of days but I woke up to this great news. Artpromotivate.com is a wonderful site for artists who are starting out and offers great tips and advice. It also showcases emerging artists and their works for collectors, art lovers and buyers to get to know more about the artist they are interested in. Thank you Artpromotivate for including me in your artist spotlight!